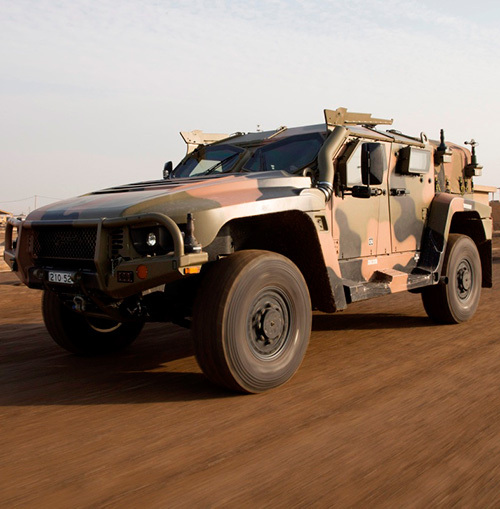 Australia’s Minister for Defense, Senator the Hon Marise Payne, and Minister for Defense Industry, the Hon Christopher Pyne MP, announced the Army had successfully deployed two Hawkei vehicles into the Middle East Region, as part of a Defense trial. Minister Payne said the trial vehicles were sent to Iraq’s Taji Military Complex to test their sustainability overseas and their ability to deploy to and from an operational area. “This will enable the Army to learn how to best deploy this capability to an operational environment and ensure it is ready prior to full production in 2019,” Minister Payne said. “The Hawkei’s cutting-edge technology and design means it is able to withstand significant blast and ballistic threats, which will protect our soldiers from small arms fire and fragmentation,” Minister Payne said. Minister Pyne said the Hawkei is a pioneering protected vehicle which is designed, developed and manufactured by Thales Australia. “The Hawkei showcases the capability, maturity and international competitiveness of Australian defense industry,” Minister Pyne said. “I was proud to travel to Poland in October to support Thales Australia’s bid to export the Hawkei, and today’s milestone shows yet again the world-class capability being produced by Australian defense industry,” he said.